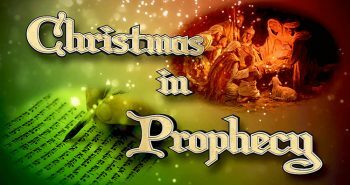 Were there any prophecies that identified when the Messiah would first come? Dr. David Reagan, Dennis Pollock of Spirit of Grace Ministries, and I recently got together on the television show “Christ in Prophecy” (watch it!) to discuss how the fulfillment of Bible prophecy in Jesus of Nazareth is proof positive that Jesus came when the Messiah was supposed to first come. 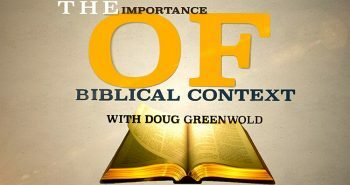 If you were wondering if Jesus really came on the scene when the Messiah was first meant to — read on in our discussion of this amazing timing! 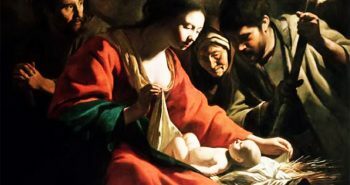 Dr. Reagan: Every year at Christmas I am reminded of the remarkable prophecies concerning the birth of Jesus and how they substantiate His deity and the faithfulness of God. Let’s look at some of those prophecies. The first that came to my mind are those that established the general time period when the Lord would appear. Tell us about those prophecies, Nathan. Nathan Jones: I’d be happy to, Dave! There are two of them. I’ll begin with Genesis 49 which contains the words spoken by Jacob on his death bed to his son Judah. Jacob said, “The scepter shall not depart from Judah… until Shiloh comes, and to him shall be the obedience of the peoples.” Now, the term, “Shiloh” was recognized by the Jewish rabbis as a Messianic title, so the term “scepter” refers to the judicial power of the nation. Thus, this prophecy is saying that the Jewish nation’s judicial power will never be lost before the Messiah comes. Dr. Reagan: But, Nathan, didn’t the Jews lose their judicial power during the Babylonian captivity, about 500 years before Christ? Nathan Jones: Well, Judah’s national sovereignty was lost, but they never lost their ability to have their own courts and judges during that time. Dr. Reagan: Okay, so then, the loss of judicial power must have been during the time of the Romans? Nathan Jones: Exactly, it was during 7 AD the Jewish Sanhedrin Council had actually lost the ability to pronounce the death penalty. Dr. Reagan: Well, you know, Nathan, that is remarkable because the Messiah had come 11 years earlier when Jesus was born say in 4 BC. So, Shiloh had arrived shortly before the scepter departed, just as prophesied. Dr. Reagan: Dennis, tell us about the other First Coming prophecy, the one that is contained in Daniel 9. Dennis Pollock: It is a pretty complex prophecy, so let me just summarize it. The prophecy was written during the Babylonian captivity. Basically, what it says is that the Messiah will come and be killed 483 years after an order is issued for the rebuilding of Jerusalem. That order was given by the Medo-Persian ruler Artaxerxes, and 483 years later Jesus entered Jerusalem to be crucified. Dr. Reagan: You know, Dennis, that is absolutely amazing! The world, of course, would call that a coincidence. Dennis Pollock: They might call it a coincidence, but the truth is that when you have these kinds of prophecies and their precise fulfillment, that goes well beyond the realm of coincidence. That would be a “God-incidence,” that is, historical events that are orchestrated by the hand of Almighty God. is the prophecy of daniels 70 weeks the reason why philip was sitting under a tree waiting for the messiah? here is another question concerning daniels 70 weeks: since the jews knew micahs prophecy about being born in bethelehem, and since they were well acquainted with the writings of daniel where is their common sense? it seems to me they would be like hmm its been such and such years, lets do the math HE`S THE MESSIAH! Ya gotta wonder at all the assumptions that were made… I wonder if after the Slaughter of the Innocents how many Jews said "Whoops, no more Messiah… that's it for us… we're really in the tank now!" 41 Others said, "This is the Christ." But some said, "Will the Christ come out of Galilee? 42 Has not the Scripture said that the Christ comes from the seed of David and from the town of Bethlehem, where David was?" 43 So there was a division among the people because of Him…"
52 They answered and said to him, "Are you also from Galilee? Search and look, for no prophet has arisen out of Galilee." 53 And everyone went to his own house." 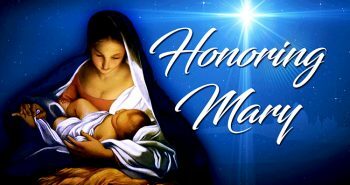 To Dr. Reagan, Nathan and all the Lamb & Lion staff…to all the regulars (Dawg, Thunder, Bugg, Laura, Veni, et al) who post and those who don't but just read…I wish you all a Merry and Blessed Christmas and Happy and Healthy New Year! Most definately, everyone have a merry CHRISTmas. And to all our Jewish and Messianic Jew friends, happy Hannukah (a few day late). Just kidding, hartdawg. Just kidding.